Home News Opinion Industry 4.0 and medical manufacturing – friend or foe? Industry 4.0 and medical manufacturing – friend or foe? Industry 4.0 is a buzzword in the industry at the moment. LeaderMES examines how this next industrial revolution will impact medical manufacturing. As the age of the fourth industrial revolution progresses, Industry 4.0, the Internet of Things (IoT), operational excellence, smart manufacturing and connected data are industry developments that are becoming increasingly important to the continued success and competitiveness of today’s global manufacturer. Today, Industry 4.0 technologies enable manufacturers to have full visibility of operations and allow them to not only be responsive at a much higher level to information about raw materials, inventory, assets, quality, waste, output and customer demands but to also become proactive. Across most industries, such visibility ensures that opportunities for improvement are highlighted so that action can be taken to save money, time and improve customer satisfaction and supplier relations. To compete effectively in the ever-changing global marketplace, manufacturers have to take full advantage of this technology. Questions have been raised whether the Industry 4.0 paradigm could conflict with medical manufacturing practices. For example, Industry 4.0 practices strongly encourage closed-loop feedback systems, where smart machines allow for decision-making during the manufacturing process, adjusting alignment of machines, changing speeds, etc. This may create a conflict with the medical industry practice of validating and verifying processes and controls.Experience shows, however, that manufacturing in the medical industry can greatly benefit from implementing Industry 4.0 practices. In this highly-regulated sector, quality control, traceability and compliance are crucial for ensuring success and even survival in the market. The huge amount of data that can be collected from manufacturing lines contains a great deal of information that should be used for quality assurance measures. As data integrity is high on the priority list of regulators, it can only be secured by having a single, secure source of facts. Traceability and control over the manufacturing process, as well as compliance with regulations and standards, provide medical manufacturers with the benefit of offering their customers high quality products and meticulous service, which play significant roles in a company’s overall competitiveness. LeaderMES facilitates industrial SMEs to shift to an Industry 4.0 paradigm by enabling operation intelligence throughout the manufacturing journey, powered by the latest in secure connectivity, data analytics and advanced computing. By optimising production efficiency and digitally streamlining processes, users can benefit from the most advanced industrial technology, increasing their profitability and competitiveness. LeaderMES offers a smart digital manufacturing platform that provides a comprehensive manufacturing management system together with the flexibility of modular plug-and-play tools. The secure, cloud-based, digital platform and smart applications provide visibility and control in highly demanding production environments. The implementation of the technology at a medical device manufacturer may offer a glimpse into the benefits of Industry 4.0 practices in medical manufacturing. 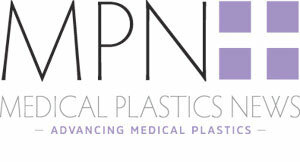 The medical device manufacturer specialises in producing high-quality medical components, devices and systems using advanced technologies and manufacturing techniques. It offers tailor-made solutions which are designed to meet the specific and particular needs of each customer, in accordance with the strictest International manufacturing quality standards. The company’s products carry ISO certificates (ISO13485:2003 and ISO 9001-2008) and are approved by the FDA, as well as other regulatory agencies.